Accrington now have 47 people signed up for the HLF Project thanks to a surge in interest last month. The club is still less than half way to its target of 100 volunteers. and its importance to the Lancashire League. We have been informed that HLF funding has been halved for 2018 which means that getting Phase 2 will be much more competitive next year which means we must present the strongest case for more funding that we can. It is imperative that we can show support from all the clubs. Project Manager Brian Heywood has visited all but two of our clubs old and new since the end of the summer to spread the word. There is still much work to be done on planning the exhibition, attracting Partner Funding and gaining support from volunteers. Anyone who hasn't shown their support through signing up to volunteer please do so if you possibly can by emailing via this link. We just need a name and a contact - email or phone which we will log as willing to be interviewed or attend an event. 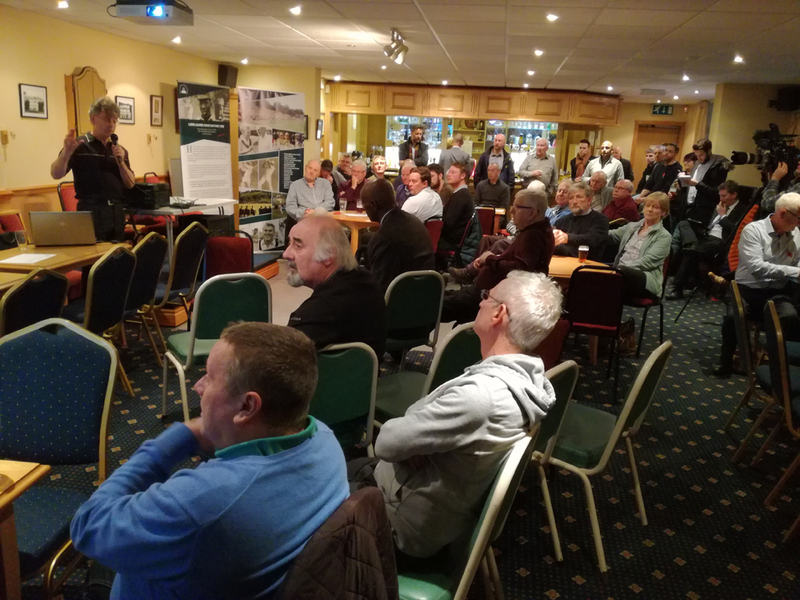 If you attended the Wes Hall Evening0 at Accrington and haven't signed up please do as you have already ticked the box with 'Attending a heritage evening' on. There is no compulsion to do anything at all if you don't wish to. Any supporters - friends or relatives would also be good - anyone with the faintest Lancashire League connection. Please help us reach the target.